in the market of Web App Testing in mobile devices service providers. I am now a Web Team leader at Kobiton, I and my team handles about front-end/back-end and infrastructure of the system. Why does the market need a product like Kobiton? There are two major problems that I think the current market require a product (service) like Kobiton. First off, the need for mobile app testing is very crucial to ensure the app quality before delivering it to the market. However, Real Devices testing is costly, and alternative options in the market can’t solve this problem. Secondly, with organization owns plenty of mobile devices, sharing access and management is one big problem to utilize the capabilities of these devices. Kobiton offers to the market a flexible and affordable solution with high performance and ease of use, helping organizations to manage and access to their mobile devices easier that could save time and efforts in mobile app developing process. What is the biggest challenges are for developers building and testing mobile apps? The biggest challenge in my mind in this domain would be the diversity amongst mobile devices and its available configurations. Facing this diversity could lead to problems such as how your app would respond to different screen size, operating system, and hardware configuration, etc. Kobiton strengths stand in its performance as a solution to manage available mobile devices, as well as available mobile devices in Kobiton Cloud that could ease the manual or automation mobile testing process. In my opinion, what makes Kobiton unique from customer’s standpoint is its ability to provide developers access to Real devices without actually buy one as well as its capacity to manage Internal Devices effectively. Kobiton supports Automation Testing with Appium, and Manual Testing with excellent remote control allows users experience devices with the lowest delay. Besides, Kobiton solutions allow small to medium Enterprise users gain access to their mobile devices almost any time, anywhere to optimize their Internal Devices lab regardless of users location and make use of Kobiton latest cloud mobile devices. A desktop app is available to download in Kobiton portal can help users perform all of the above tasks. What do we focus most? Not only with Kobiton but most products development process require focus in user’s experience in the initial development state. With Kobiton, it is not only about how easy that user can plug and play their devices, but it is also about device’s responsive to Users when executing Automation or Manual test, or supporting several devices with different operating systems from Android to iOS with no difficulties. Aside, there are dozens of technical challenges that my team and I have to face every day to ensure the best user’s experience. After all, in the process of product development, challenges are inevitable, my team and I are always ready for it and work together bring out the best solution for each challenge. In every company, to work as a team, it is important for everyone to work toward a specific goal and understand each other, regarding strengths and weaknesses to be able to support each other when in need. For Kobiton team, we always put customers first as we always consider their request as potential features for the next release. As a younger member of the team, I am very proud to be a part of Kobiton team and work among team members that always support me and aim for the perfect product. Why did we focus on Appium first instead of other options? – Watch live automation, manual sessions. – Cellular support, mobile call testing, network throttle setting. – Audio support for manual testing devices. – Introduce more metrics for test session, insights to help testers detect bug faster. 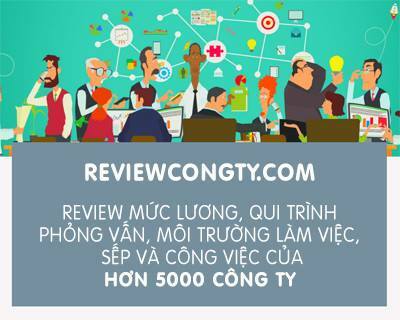 Previous Post Tại sao phải viết code thật đẹp? We were THIS close to building a device lab until I stumbled on your solution. Now we are giving the trial a serious go to see if it’s a good fit for us. You probably did not have our use case in mind with Kobiton, but we are actually an email company powering highly specialized emails for our clients. Your platform is the only solution that lets us test iOS mail on top of Android. And the responsiveness is very good! Amazing work! Nice to hear that, if you need any help, just contact with us. I’m Tai and I’m very interested in with your company’s product. I’m automation tester and actually in a past, i worked with a platform, which i think that have the same business with Kobiton, is Perfecto Mobile. Hope that in a future i can have a chance to use your product. Hello Tai, you can try it now at https://kobiton.com/freetrial/, we support trial in 15 days with the whole set of features without any credit card requirement, tell me if you need any help.